Description: This isn't a baby, and it's not the runt of the litter! 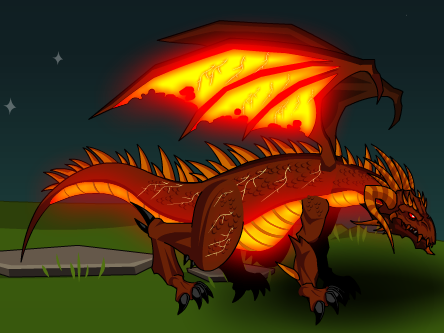 Miniature magma dragons evolved to be able to squeeze through cracks in Lore's mantle crust! Thanks to iikainii, Kaylord and Sasuke_kool1.